In a busy panel that seemingly included everything but the kitchen sink, Marvel excited Comic-Con attendees with the first real look of Thor: Ragnarok, the third standalone Thor feature. Well, maybe second and a half, consider Chris Hemsworth‘s hammer-wielding Asgardian prince appears likely to be sharing a lot of the action this go around with The Hulk (a returning Mark Ruffalo). The presentation for Thor: Ragnarok boasted a few surprises of its own and may have a few more tricks up its sleeve – especially since this Marvel property is being directed by Taika Waititi (What We Do in the Shadows). Since the film has only in production now for a few weeks, the footage itself shown to Hall H-ers was mostly in the form of concept art and green screen shots to offer but a taste of what the finished product may look like. Also, since the film is currently filming in Australia, no members of the cast or filmmaking team made the trek to San Diego to join their Marvel compatriots. As with all of Marvel’s presentations this year, no footage was made available online so descriptions will have to suffice for now. Before screening the earliest of footage, a humorous short doc was screened, one directed by Waititi, highlighting the deadpan wit of the Hunt for the Wilderpeople‘s filmmaker. The short caught up with Thor and Hulk, revealing what was going on for them while their Avenging pals were waged in an epic Civil War, with a wink and a smile debating which side they might have been on had they been included. Thor, however, was more invested in finding out more about Thanos, the mysterious “purple” baddie who is likely the main foe in the upcoming Infinity Wars. The footage itself, which has already been speculated might lean towards the “Planet Hulk” storyline in the comics, brought deeper focus on the action of Thor: Ragnarok as well as the main villains of the piece. Oscar winner Cate Blanchett is indeed going bad for Marvel, set to portray Hela, with concept art revealing an intimating and “horned” headdress. Also included was Surtur, the massive fire gaint speculated to be the main foe of the film, who in comics brought about the destruction of Thor’s home Asgard. A sequence also revealed both Thor and The Hulk inside a gargantuan gladiator arena, seemingly ready for a bout against each other. Tessa Thompson (Creed), Jeff Goldblum (The Grand Budapest Hotel) and Karl Urban (Star Trek) all join the franchise, while mainstays Idris Elba (Beasts of No Nation), Tom Hiddleston (High-Rise), Anthony Hopkins and Jaimie Alexander return. 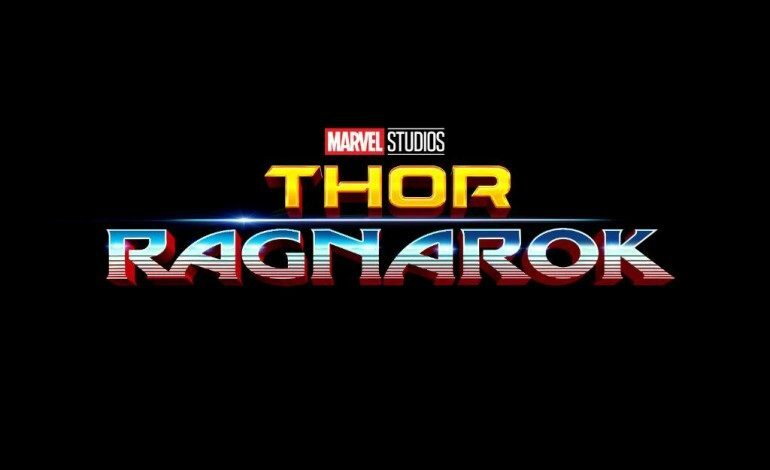 Thor: Ragnarok will open in theaters on November 3, 2017.